I slept in Saturday. That doesn’t happen often, but it happened Saturday, and it was a great thing! I finally dragged myself out of bed and felt so good I got to work right away. 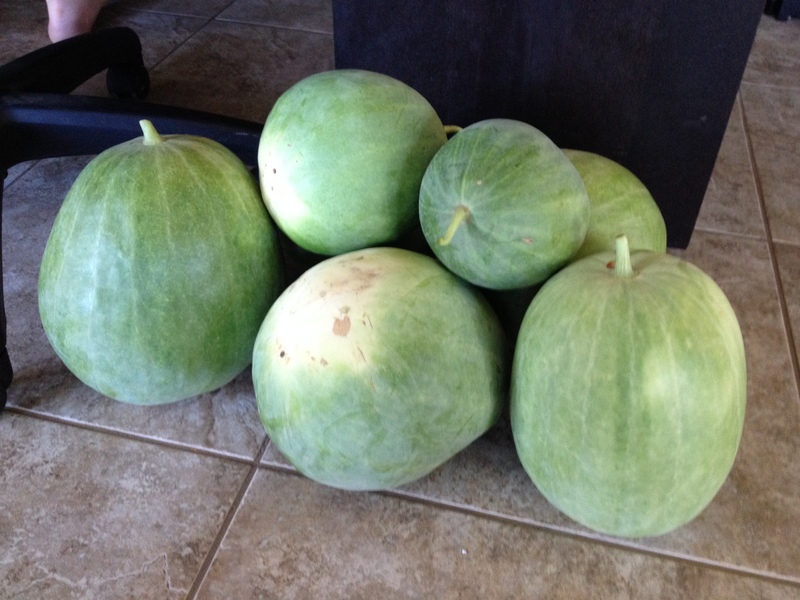 Took care of the chickens, watered the raised beds and started pulling out the watermelon. Demo in the garden! Gotta love it! It’s always interesting to see the before and after shot. Or in this case the after and before (the before is from earlier in the summer, it is much more impressive than the way they looked Saturday morning, still big, just not nearly as full). 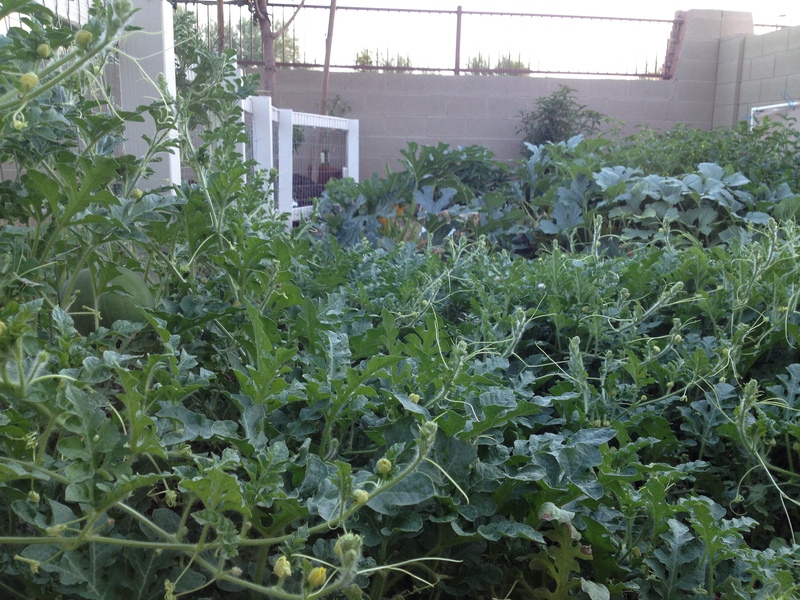 Weed eating – done. Then I actually went crazy and cleaned out the whole side yard, then the garage, and a quick pick up on the shop. Awesome! It’s so much easier to get things done when you aren’t literally melting in the heat. It was so nice all day, I’m not even sure it hit 90. 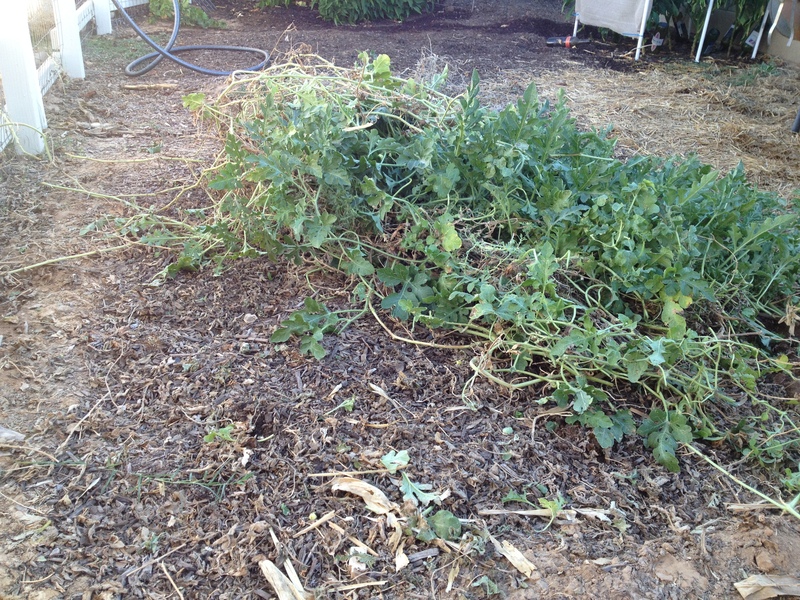 Contrary to the photo I got every bit of the watermelon vines onto the compost pile. Which left us with these. I ate one of the smaller ones this morning with my breakfast. Awesome! After all that I had some wood from our first raised beds that had rotted and was just sitting there on the side yard. Our bulk pick up won’t take it away because they call it “construction debris”. 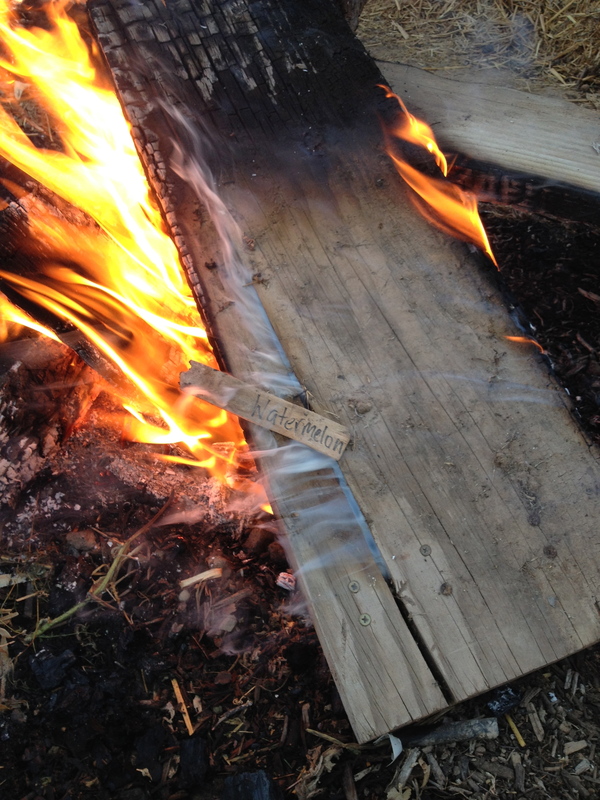 Okay, so I had myself a little wood fire last night and took care of several of them. One more little fire and it’s all gone in a very entertaining manner I might add. Sunday was more of MVMT and baptisms! Awesome stuff. Amazing testimonies. God is doing some serious God stuff at Mission. 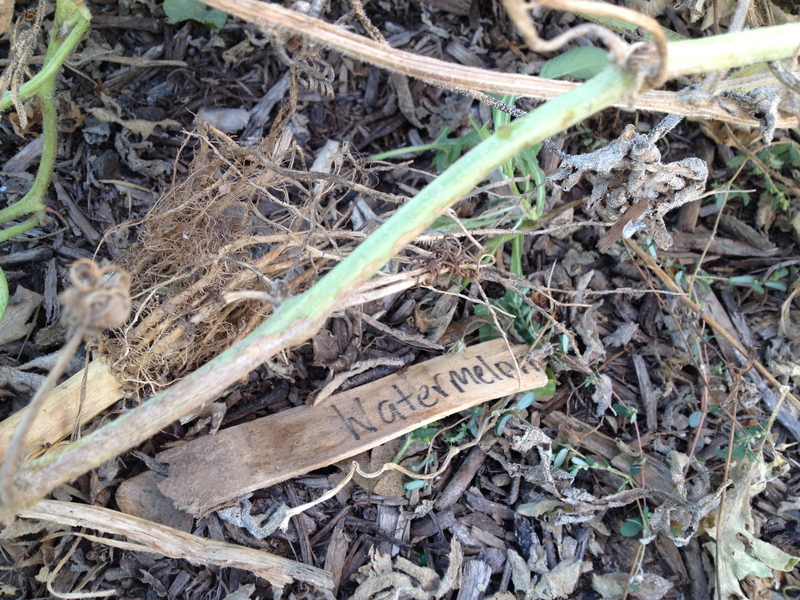 This entry was posted in Desert King Watermelon. Bookmark the permalink.